Cherapu is believed to be a native of Malaysia. It grows from North to South of Malaya. 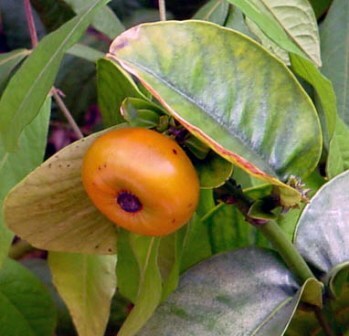 This fruit is also grown as a back yard tree mostly in villages in South East Asia for its fruits. A small to medium tree 25-40ft tall. 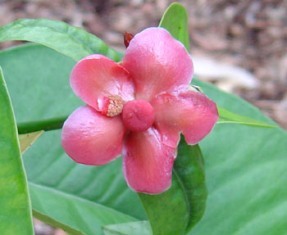 Flowers are attractive red to orange in colour, male and female flowers borne on separate trees creating a need for pollination for successful fruiting. Fruits small, 3-5 cm wide, brilliant orange in colour, rind thin, pulp very tasty having an unusual sweet-sour flavor. The fruits are eaten raw. These are quite tasty. The fruits are rarely marketed. New plants are raised from seed. The trees are slow growing but quite long lived. 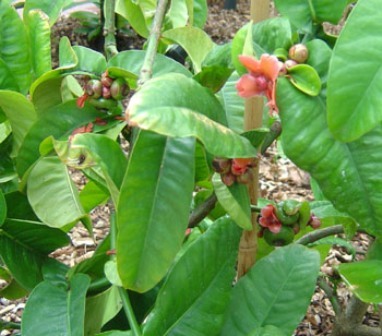 Cherapu is also grown as a container plant because of its attractive coloured flowers and fruits. 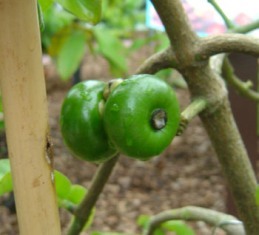 In fact it considered to be an ideal plant for container growing. ,The plants start bearing when 2-3 feet tall.